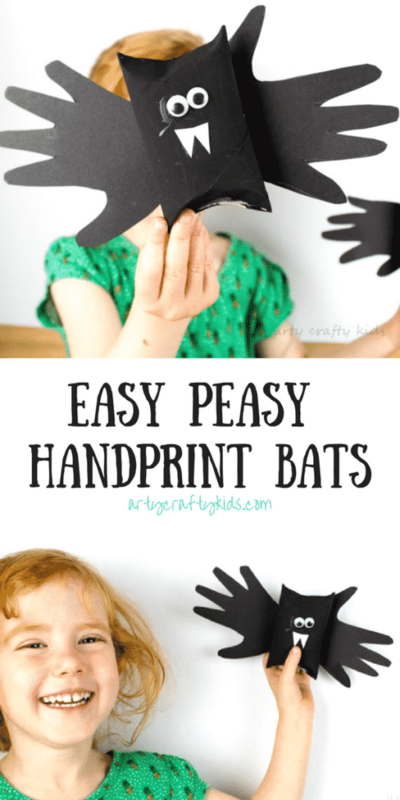 WARNING – you will need a stockpile of loo rolls as this paper tube handprint bat is so easy and cute, there’s no way your Arty Crafty Kids will be happy with just making one! My little girl spent an entire afternoon painting and sticking as well as practicing her tracing and cutting skills to create an entire colony of bats. 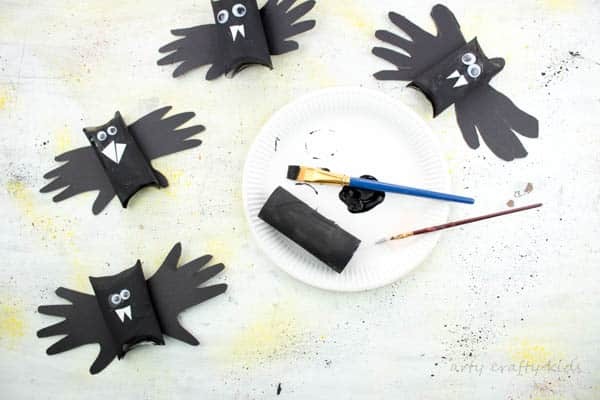 So if you have a preschooler at home or you’re looking for a Halloween themed craft for a preschool group or reception class, then little hands will be able to get their craft on with very little support, which is great for encouraging creativity and developing fine motor skills. It’s also a very easy going craft on the resources. Sound good? here’s what you need! 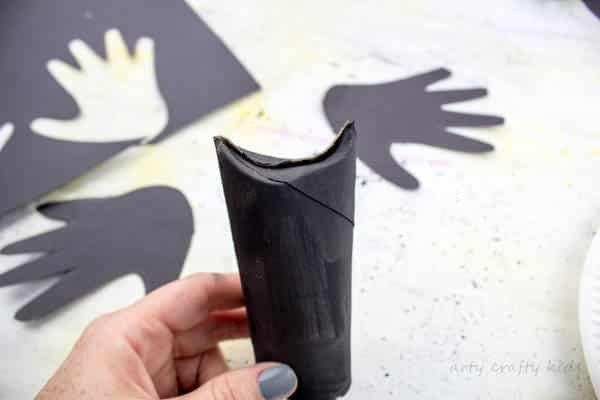 Step 1: Paint the paper tube black and leave to dry. 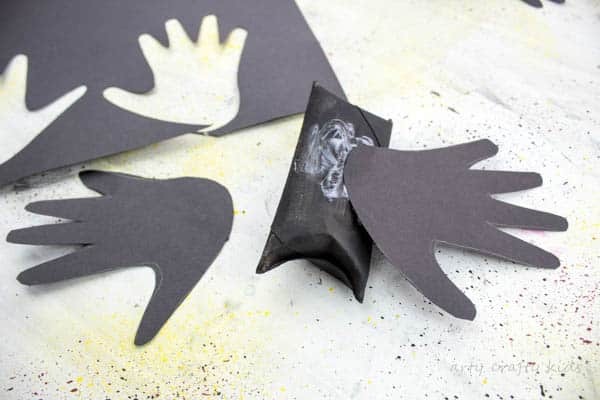 Step 2: Using a piece of black card, draw around a pair of hands and cut out the handprint. 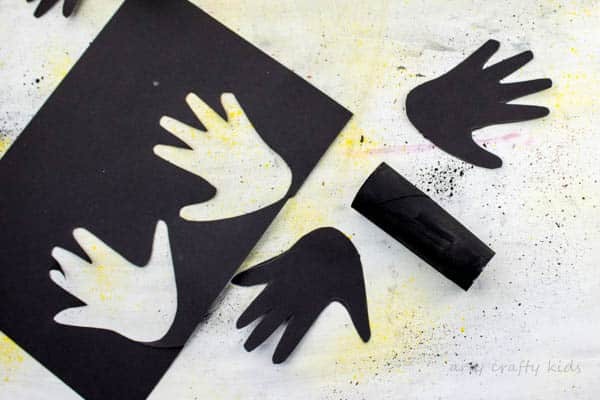 Depending on your child’s age, I would always recommend allowing them to have a go at both the drawing and cutting themselves. 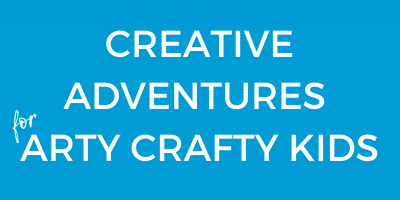 It’s great practice and will help develop your child’s crafting self-confidence. Step 3: Press the tip of the paper tube inwards to black the hole and create two pointy bat ears. Step 4: Glue the handprints onto the bat’s body with the thumbs pointing ‘down’. 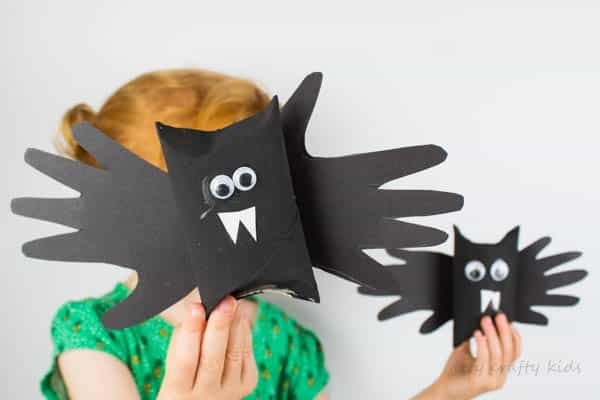 Step 5: Add the googly eyes and cut out two triangles from white paper to create bat fangs. And ta-da you should now have an adorable handprint bat! 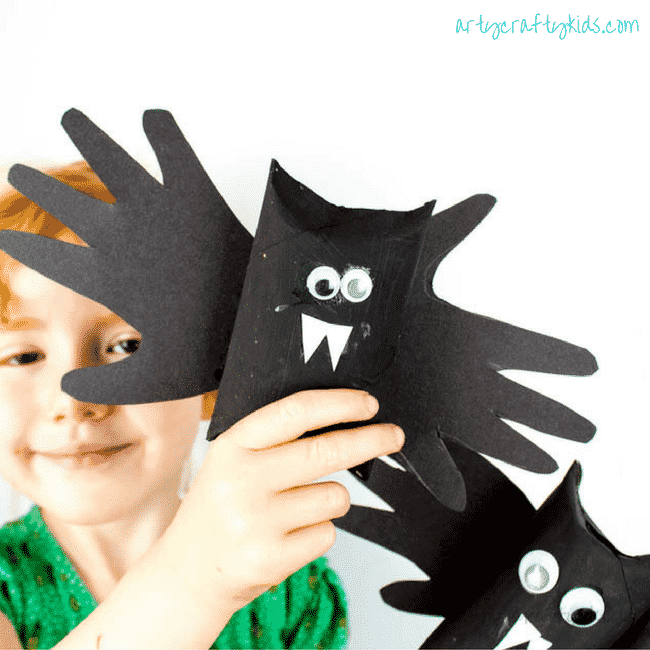 I hope your Arty Crafty Kids have enjoyed this simple Halloween Craft. For more spooky craftiness, check out our Cardboard Zombie Craft and Paper Plate Witch. 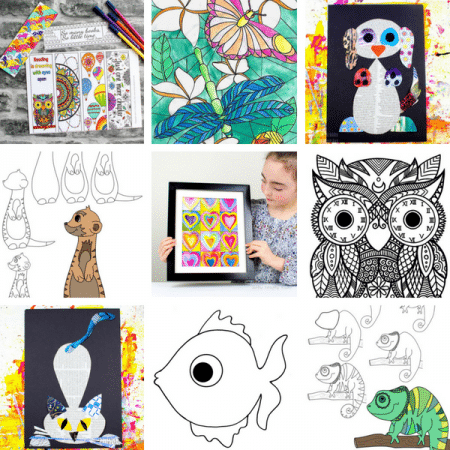 We also have a very special collection of Halloween Colouring Pages for your Kids to Colour!